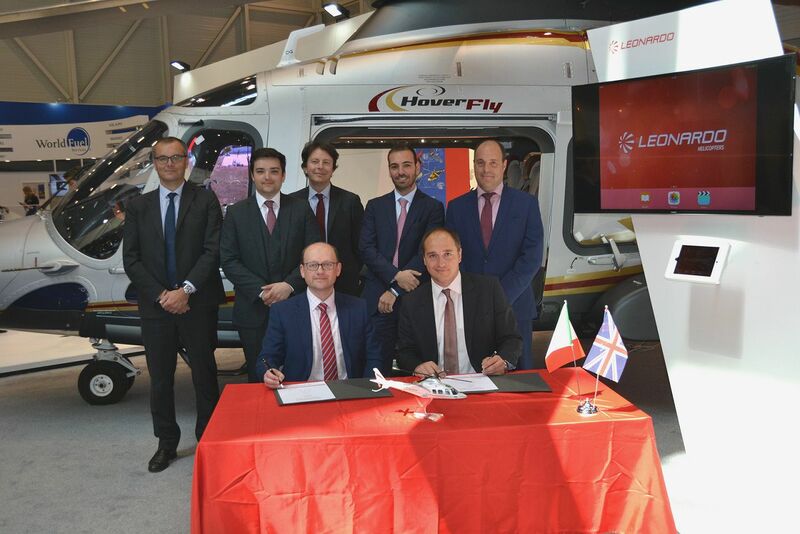 UK based operator SaxonAir Charter announces at EBACE Geneva the addition of another helicopter to their fleet through the signing of a brand new Leonardo-Finmeccanica AW109SP Grand New. The helicopter will be operated through SaxonAir’s rotary division SaxonAir Helicopters. As well as the operation of a mixed fleet of aircraft from Mustangs to the Gulfstream G550, the company runs its own Helicopter department serving clients around Europe. The helicopter will serve both the London and the wider UK market and offered to all present and new clients for a faster, more convenient way to travel. The AW109SP Grand New is a top of the range light twin engine IFR helicopter designed using the latest technology, benefiting from high performance, latest safety enhancements and a large cabin with a low environmental footprint. ‘As a group we’re all very much looking forward to the addition of the brand new helicopter. We are very well known for being a quality fixed wing charter operator and aircraft management company so the purchase will boost our presence and scope in the helicopter market.’ Says Max Randall, Head of Sales and Operations, SaxonAir Helicopters. SaxonAir Helicopters will offer full packages along with our fixed wing charter department, interlining with aircraft arrivals and departures flying directly to their destination saving clients valuable time. The fast growing company expects the aircraft to be used predominantly for both corporate and leisure missions, it can fly at night so a perfect alternative to travelling by car to events such as the races or music concerts. The luxurious cabin can comfortably fly up to 6 passengers and can transport clients at distances of over 350nm. John Parnell, Sales Director from Sloane Helicopters says ‘As the UK and Ireland Leonardo-Finmeccanica Distributor, we are delighted to have sold the AW109SP to SaxonAir with a comprehensive support package that also includes full maintenance coverage for years to come. We are sure that SaxonAir and its clients will appreciate the outstanding capabilities that has made this helicopter the benchmark for VIP and charter operations’. The order was cemented at the Leonardo-Finmeccanica stand during EBACE Geneva and representatives from SaxonAir, Sloane Helicopters and Leonardo-Finmeccanica were all present at the signing.